In 2010, Chriselle Lim was a wardrobe stylist, spending her days at editorial shoots for magazines. In the early days of YouTube, at the suggestion of her friend Michelle Phan, she started posting style tutorials on the site and began to grow a following. In 2011, she launched her blog, the Chriselle Factor, to share her thoughts about fashion and style and to inspire other women who shared her passions. Nine years later, Lim turned her love of fashion into a full-time career. She employs a staff of 13 people at her downtown L.A. office to create content for her blog and across YouTube, Instagram, Twitter, Pinterest and Facebook for her 3.2 million followers. 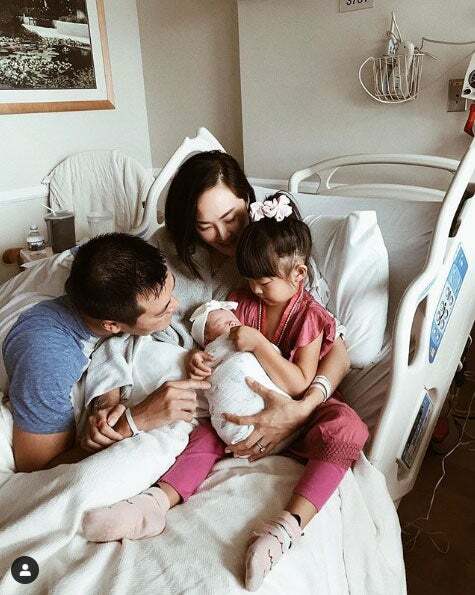 The married mom of two has worked with some of the biggest names in fashion, including Dior, Gucci, Fendi, LV, Valentino, Cartier, Elie Saab, MiuMiu, Masion Margelia, Stella McCartney, SK-II, Armani, Chloe and Versace. 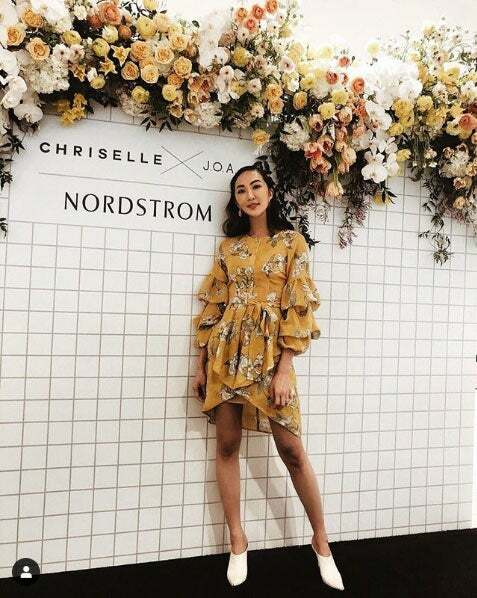 Last year, she launched the Chriselle Lim Collection with Nordstrom. A second collection will arrive this March. She also started a branded content firm called Cinc Studios. Entrepreneur spoke with Lim to get her social media insights. How did you get your start with YouTube and Instagram? I started on YouTube in 2010. Soon enough I realized that I wasn't able to make as many videos as I wanted. So I decide to start the Chriselle Factor. Photos were so much easier to take and post. [I could share things] in between the video content. They both grew together simultaneously. A year and a half into it is when I started to realize that I could possibly make this into a business because of the amount of viewership I was getting. I came from the fashion editorial world where I understood the business of ads and how magazines were making money. So I just viewed it the same way. I was getting close to millions of views per video. [So I believed] there was a possibility that I could actually make it into a business and someone can pay me to create a video. It took about two years for me to finally make my first real paycheck. We deliberately work on creating the best content for our followers on all platforms but especially with Instagram, because that is where a lot of the engagement and action happens. We have a strategy meeting every day just for Instagram. We're always testing out things to see if the followers respond to it. What do they like most? What is the most engaging? We're always trying to create content in the moment because they feel like they are there with you. But also we plan a lot of content as well, especially video content on Instagram. Those can take hours or days to create. On Instagram we will see more and more brands that want to partner with influencers and celebrities on that platform because it's an engaging platform and it's immediate and you can interact and engage. Monetization on Instagram has just grown so much. I foresee it to continue to grow just because more brands are understanding the power of Instagram influencers. It's the same across the board with YouTube and the blog. We started off as more of a highly produced account. We shifted our branding on Instagram and that started after I became a mom. I have a 4-year-old and a 3-month-old. Because my followers been following me since I was in college, they've seen me get married and have kids and start this company and then have my second baby. They're growing with me and they're getting older with me so they're just really craving authenticity versus this perfect imagery. But we do balance the two out because I have a passion for creating elevated curated content because I come from that world of editorials and fashion. To find a strong, unique voice. It is a crowded space especially in beauty and fashion. There's a lot of content that feels very similar. I feel and I have noticed that once I became open about my life and who I am as a person being more raw and real and authentic to my followers, the voice became more obvious. That's when my followers became a lot more engaged with me and just feel connected with me and knowing that I was a real person. Second, hiring people that are better than you. I pride myself on being able to be creative but especially on YouTube with editing and the more technical elements, that was never my forte. I want to grow a brand, so whatever money I earn, I immediately invest it into hiring well-qualified people. That's how I've been able to not only grow my numbers and my following but my company as well. What's a misconception people have about Instagram? It's important that brands understand who they are first before they go on Instagram. If they're expecting to go on Instagram and get sales and more followers, then there is a misconception that Instagram is going to make them successful or wealthy or whatnot. It comes down to what the product is and what the brand stands for. That is most important. "My pregnancy announcement was one of my favorites as I was keeping this a secret for so long and I was in the dreamiest Valentino dress." "Our very first photo as a family of four." "A very real and raw moment captured by my husband." "A princess moment attending the Dior fashion Show in Paris." "Launching my very first collection at Nordstrom."